Packing is absolutely my thing. There’s something about creating a holiday capsule wardrobe that gives me a thrill (yes, I’m just THAT rock and roll), and I can spend hours reading through posts and watching vlogs on packing tips. It never gets old. Searching for answers as to where this obsession came from, I asked Google ‘why do I love packing?’. The response was a string of articles from people who, as it turns out, absolutely HATE packing. Apparently, I am in a very small minority here. Oh well. I’m just going to let my freak flag fly on this one. When we visited Lake Garda in May, I did a daily outfit post, and some of the pieces below also came with me on that holiday. This is a different sort of break and a different time of year, so I’ve mixed it all up and added in some new pieces for a high summer beach vacation. This time, we’re off to Split in Croatia, which is somewhere I’ve always wanted to visit (well at least since Rick Stein did…). Following a few basic rules on packing helps me to travel light but also feel like I have enough choice. I love the freedom of only flying with hand baggage. What's not to love? Less money spent on baggage fees = more money for cocktails. Plus, no endless wait at the baggage carousel and no worries about lost items. It pays to have a clear idea of the weather conditions and what you'll be doing. In Croatia it was forecast to be around 30c so I didn’t pack anything for colder weather. We’re staying by a blue-flag beach with a lagoon, and the apartment we’re hiring has a lovely pool, so the focus this time is on taking it easy. Although of course, I do have a very active toddler in tow, so, y’know, not THAT easy! So for my travel bag this time, I opted for the gorgeous Getaway tote from Stella and Dot. Guys, I’m in love with this bag. Its.so.pretty. And also practical! That’s surely the holy grail for travelling, and everyday life really. It’s an oversized, sturdy tote with a secret – a centre panel that can be unzipped to make even more space. It’s perfect to take away with me, as I can use it at its full capacity as my travel bag and then once I’ve unpacked zip it up into a smaller tote that makes the ideal bag for a day trip shopping to the old town or to the beach. I used to always have my money on the Le Pliage from Longchamp as the ultimate travel bag, but this has definitely vying for its crown. More bags. But of course. Its always a bag within a bag within a bag with me! This is how I stay organised when I travel and I use the same system (the ‘pouch system’ as it seems to have been termed by YouTubers) for the bag I carry for work. The first thing I have inside is my Waverley Petite, also by Stella and Dot, which is the only other bag I’ve taken on holiday. Again, it can be used a number of ways – as a smart clutch, a small shoulder or messenger bag or folded out into a larger cross body. This gives me four options in one, and covers every eventuality. While in transit, I use it to hold my essentials – my purse, house and car keys, some Lacura Travel Wipes (a must with my toddler in tow!) iPhone, headphones, and the family’s passports and boarding documents. Those are just in a pink poly wallet to keep them together (I love my Ted Baker travel wallet but its just a little too bulky for this trip). This can be whipped out or stuffed into my tote as needed and keeps all those things you need to grab in a hurry together. Then I have a zipped pouch from Damero (find them on Amazon) that holds all my small electronics – charging cords, USB plugs and adaptors, a powerbank, my Bluetooth DSLR lens and my EasyAcc speaker. Its tough and waterproof so it’s a great place to house all these things, and just the right size. I also have my mini Galaxy tablet, in its keyboard case (from Belkin) to make it easy for me to blog on the go. I also use it to read books via the Kindle app. And I'm also taking my iPad to keep Theo entertained on the flight with CBeebies and keep me entertained with Netflix when he's gone to bed in the evening! Plus, my GHD Platinum stylers are something my hair couldnt live without! 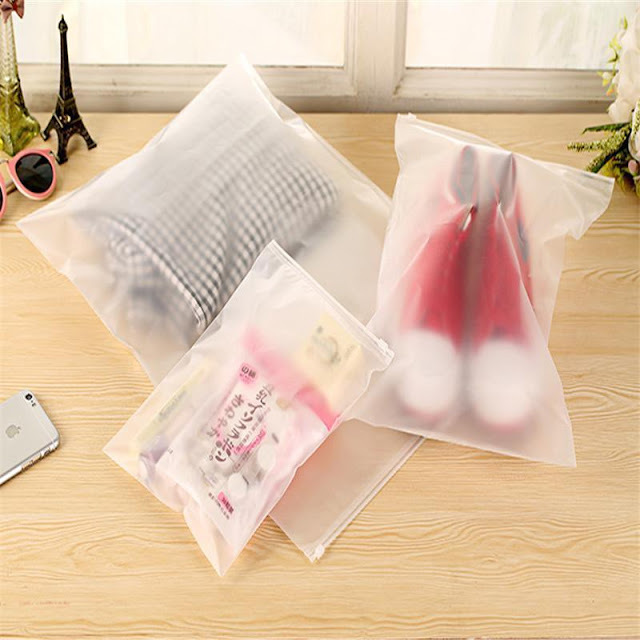 My clothes and shoes are sorted into these clear ziplock pouches. This just keeps everything organised and makes it all waterproof just in case of any mishaps! You can pick these up cheaply on eBay. I roll all the clothes as this makes more space and also helps to avoid creasing. Keeping the shoes separate also stops them dirtying up anything else in my bag. The idea for me is that most of my stuff mixes and matches as this gives more options overall. So each of the tops I’m taking works with any of the bottoms – fashion maths in action! Most of the tops are in neutral colours, which always makes them easier to pair up. I also completely shut off the ‘What if’ part of my brain, otherwise, I end up packing for lots of unlikely imaginary scenarios that never materialise. Unless you are literally going to the North Pole or the interior of the Amazon jungle, you’re not going to need anything you can pick up out there, if you absolutely must. On a summer break, I want everything to feel easy – so that means comfortable breezy separates, shorts, dresses and jumpsuits that I can throw on and know they’ll look good without any fuss. Accessories are something that are easy to get carried away with. They seem small but they add bulk and weight to your packing before you know it, so I only take one belt, one hat, one necklace and a couple of pairs of sunglasses. Packing three swimsuits might seem slightly on the keen side in ratio to the other clothes, but I’m planning to spend a lot of time either playing on the beach or in the pool at our villa with Theo. Despite my best pre-holiday efforts with running and planking, I’m still not comfortable in a bikini right now, so I’ve just chosen one pieces. Shoes are often where you get the bulk and weight issues with packing, so I tend to be really strict with myself here. I don’t take heels as its not practical for me to wear them, so I just took two pairs of flat sandals – brown suede lace ups that are comfy for walking in, with my trusty navy Havianas to wear on the beach and around the pool. I'll also have the pair I'm wearing to the airport. I love your bag! It's always an essential for me to take at least two pairs of sunnies and at least three pairs of shoes!